My friend Loree over at Danger Garden does a lot of walking, driving, traveling. Well, a lot compared to me. During these excursions she keeps a look out for interesting gardens and landscapes. Some are noteworthy because they are cool or beautiful, but others fall into the "what were they thinking?" category. 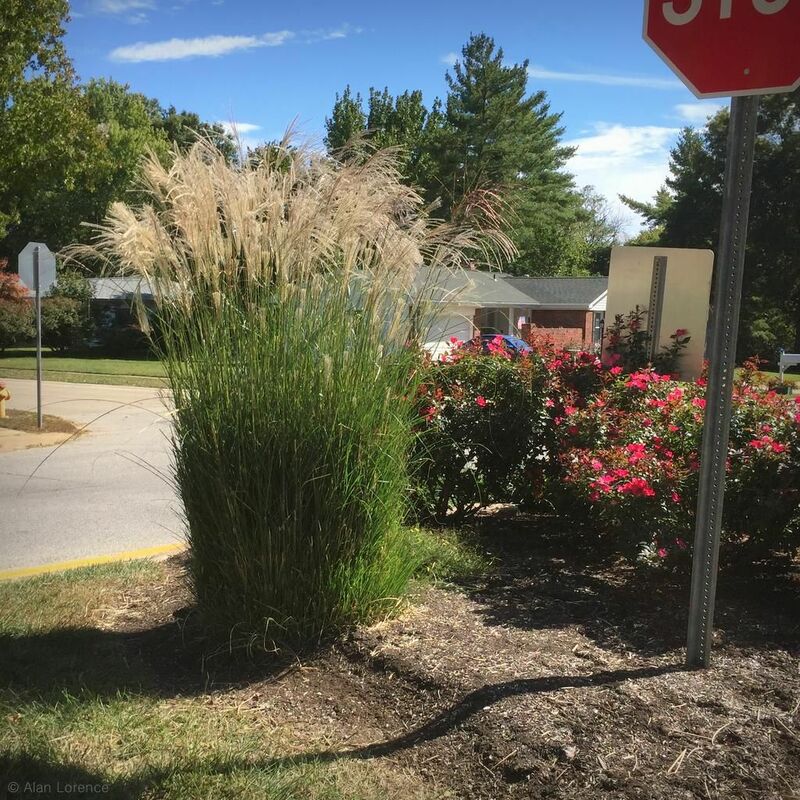 These Miscanthus planted near intersections near my house fit into that WWTT bucket. Sure Miscanthus is a fairly wide grass, graceful and arching. Not appropriate for this space? Just prune them! From a distance I thought it was a switch grass (Panicum) but with a different sort of inflorescence. I wonder if anybody has figured out how to prune these into cube/rectangular shapes yet? Sad to do this to such a graceful plant. In many public plantings here, once the grasses are dormant, the dried clumps are sculpted into cubes or cylinders. Crazy. Ugh. Good capture, sad situation. Peter: I'd actually like to see that -- grab some photos this winter if you remember please. Loree: It's better than having them cut down. 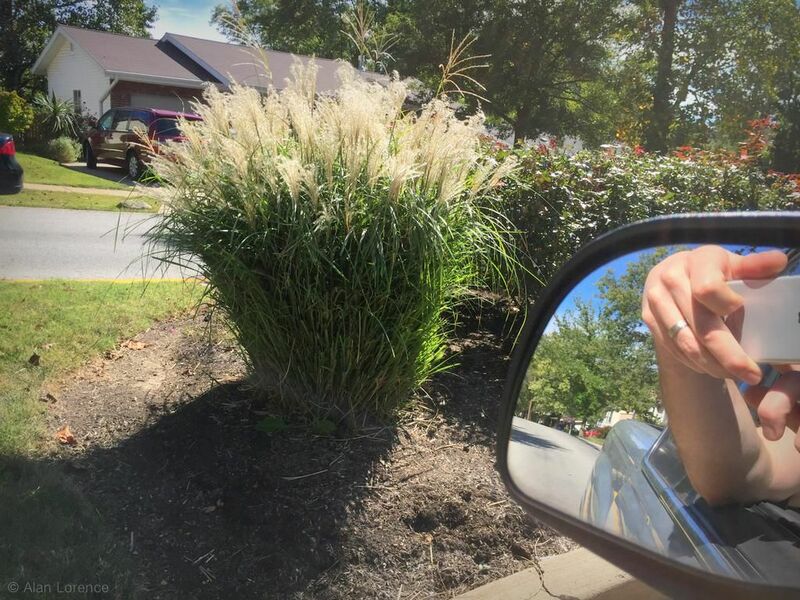 I've seen people around here do that too: cut their ornamental grasses down while raking their yards. So silly, as big grasses in winter are one of the best things to look at (if you don't grow bamboo). Another case of the puppy turning into a great Dane.